The Animal Asthma Chamber is designed and developed in Australia by Medical Developments International to deliver medication to the lungs. 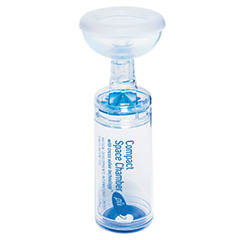 Recommended for delivering asthma medication with ANY brand/type/size of puffer or metered dose inhaler. Both asthma chamber and silicone mask come in various sizes to accommodate different sized animals.